Update: A More Comprehensive Edition of this Book is Now Available. Click Here To Access It. 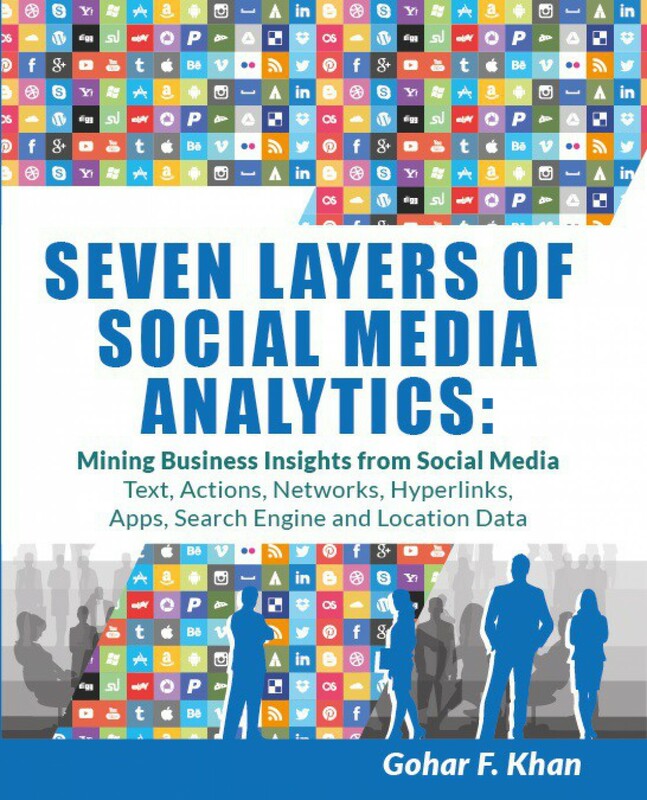 Welcome to the companion website for Seven Layers of Social Media Analytics: Mining Business Insights from Social Media Text, Actions, Networks, Hyperlinks, Apps, Search Engine, and Location Data by Gohar F. Khan (ISBN-10: 1507823207). If you have already purchased the book, please click here to request a password to access the resources. The book is available for purchase through Amazon Store and CreateSpace’s eStore.